A great variety of decorative wall sconces to add that finished look to your walls. Find the perfect candle sconce to help complete the look of your home's walls. 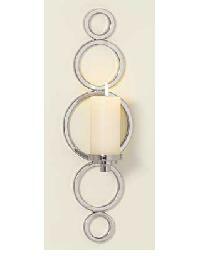 Decorative Wall Sconces in a variety of finishes and styles. Add dramatic architectural detail to your home with this unique collection of Wall Sconces for use as wall decor, corbels, ceiling moulding, drapery projects and shelf brackets.